Dezeen promotion: a hotel overlooking the Hajar Mountains in Oman and a Botswanan lodge located on a UNESCO World Heritage site are among the shortlisted projects for the inaugural AHEAD Middle East and Africa awards for hospitality experience and design. 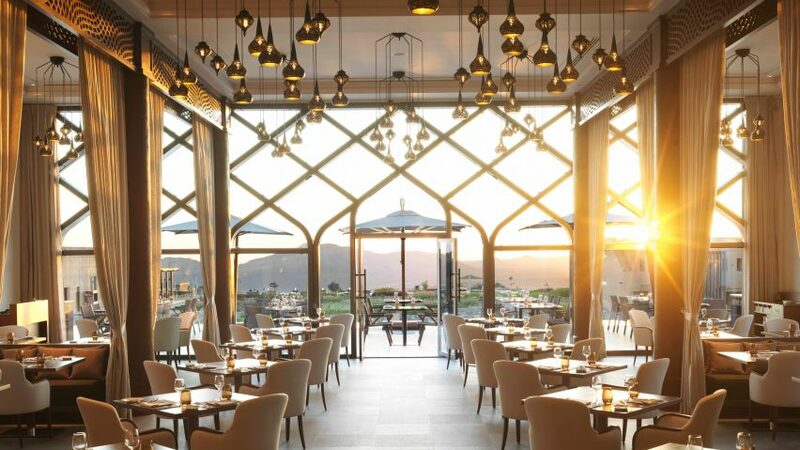 The AHEAD Middle East and Africa (MEA) awards will recognise the region's best hospitality design and architecture completed between January 2016 and February 2017. Among the total 32 nominated hotels are projects in Kenya, Morocco, Turkey and Dubai – where over half are located. The Belmond Eagle Island Lodge in Botswana and the Anantara Al Jabal Al Akhdar Resort in Oman are joined on the shortlist by Six Senses Zil Pasyon – a resort made up of 30 pool villas on a private island in the Seychelles. The Belmond Mount Nelson Hotel in Cape Town, which features an eye-catching pink facade, is also on the list. Winners are selected by a regional judging panel made up of architects and hoteliers, as well as interior designers and other industry figures. Each project will be assessed on its design, guest experience, and commercial viability. The judges include Marc Dardenne, group chief operating officer at Jumeriah; Clinton Freeman, director of design at Hilton and Isabel Pintado, senior vice president and managing director at Wilson Associates Dubai.